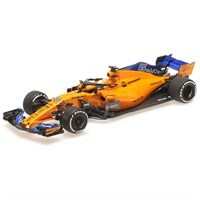 Buy all the latest McLaren F1 diecast models from Diecast Legends. Spark 1:43 resin model of the #55 McLaren MCL34 as driven by Carlos Sainz Jnr in the 2019 Formula One season. Spark 1:43 resin model of the #4 McLaren MCL34 as driven by Lando Norris in the 2019 Formula One season. 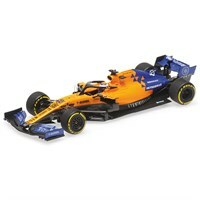 Minichamps 1:43 resin model of the #4 McLaren MCL34 as driven by Lando Norris in the 2019 Formula One season. 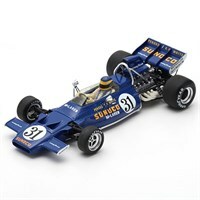 Minichamps 1:43 resin model of the #55 McLaren MCL34 as driven by Carlos Sainz Jnr in the 2019 Formula One season. 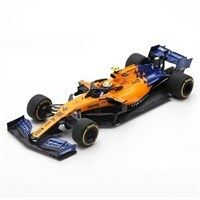 Minichamps 1:18 resin model of the #55 McLaren MCL33 as driven by Carlos Sainz Jnr in the 2018 Abu Dhabi Test. 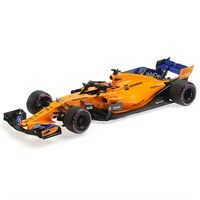 Minichamps 1:18 resin model of the #47 McLaren MCL33 as driven by Lando Norris in the 2018 Abu Dhabi Test. Minichamps 1:18 resin model of the #2 McLaren MCL33 as driven by Stoffel Vandoorne in the 2018 Abu Dhabi Grand Prix. Minichamps 1:18 resin model of the #14 McLaren MCL33 as driven by Fernando Alonso in the 2018 Abu Dhabi Grand Prix. Minichamps 1:43 resin model of the #55 McLaren MCL33 as driven by Carlos Sainz Jnr in the 2018 Abu Dhabi Test. Minichamps 1:43 resin model of the #47 McLaren MCL33 as driven by Lando Norris in the 2018 Abu Dhabi Test. Minichamps 1:43 resin model of the #2 McLaren MCL33 as driven by Stoffel Vandoorne in the 2018 Abu Dhabi Grand Prix. Minichamps 1:43 resin model of the #14 McLaren MCL33 as driven by Fernando Alonso in the 2018 Abu Dhabi Grand Prix. 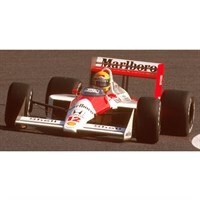 Minichamps 1:43 resin model of the #12 McLaren MP4/4 as driven to victory by Ayrton Senna in the 1988 Japanese Grand Prix. Minichamps 1:43 resin model of the #12 McLaren MP4/4 as driven to victory by Ayrton Senna in the 1988 British Grand Prix. Minichamps 1:43 resin model of the McLaren MP4/4B Test Car as driven by Ayrton Senna in the 1988 Formula One Season. Minichamps 1:43 resin model of the McLaren MP4/4B Test Car as driven by Alain Prost in the 1988 Formula One Season. 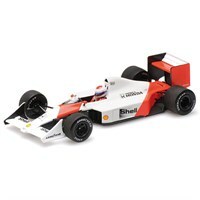 Minichamps 1:43 resin model of the McLaren MP4/4B Test Car as driven by Emanuele Pirro in the 1988 Formula One Season. Minichamps 1:43 diecast model of the #8 McLaren MP4/8 as driven to victory by Ayrton Senna in the 1993 Japanese Grand Prix. 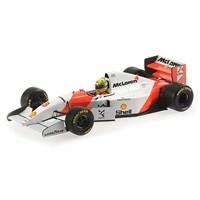 Minichamps 1:18 diecast model of the #8 McLaren MP4/8 as driven to victory by Ayrton Senna in the 1993 European Grand Prix. 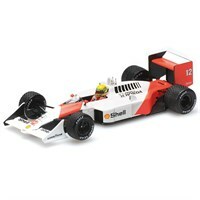 Minichamps 1:18 diecast model of the #12 McLaren MP4/4 as driven to victory by Ayrton Senna in the 1988 Japanese Grand Prix. 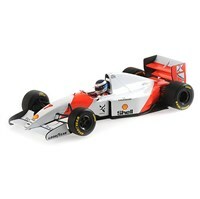 Minichamps 1:18 diecast model of the #7 McLaren MP4/8 as driven by Mika Hakkinen in the 1993 Formula One season. 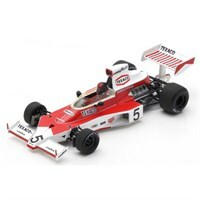 Spark 1:43 resin model of the #31 McLaren M19A as driven by David Hobbs in the 1971 American Grand Prix. Spark 1:43 resin model of the #14 McLaren MCL33 as driven by Fernando Alonso in the 2018 Abu Dhabi Grand Prix. This model comes complete with special packaging, including tyre marks on the base in celebration of Alonso's doughnuts after the race.